John Riley reviews the brand new Zeiss Loxia 25mm f/2.4 full-frame lens for Sony E mount cameras. The Zeiss Loxia lens range comprises a high quality set of lenses designed for the full frame Sony FE mount mirrorless cameras. The four existing lenses (21mm f/2.8, 35mm f/2, 50mm f/2 and 85mm f/2.4) are now joined by the new 25mm f/2.4. 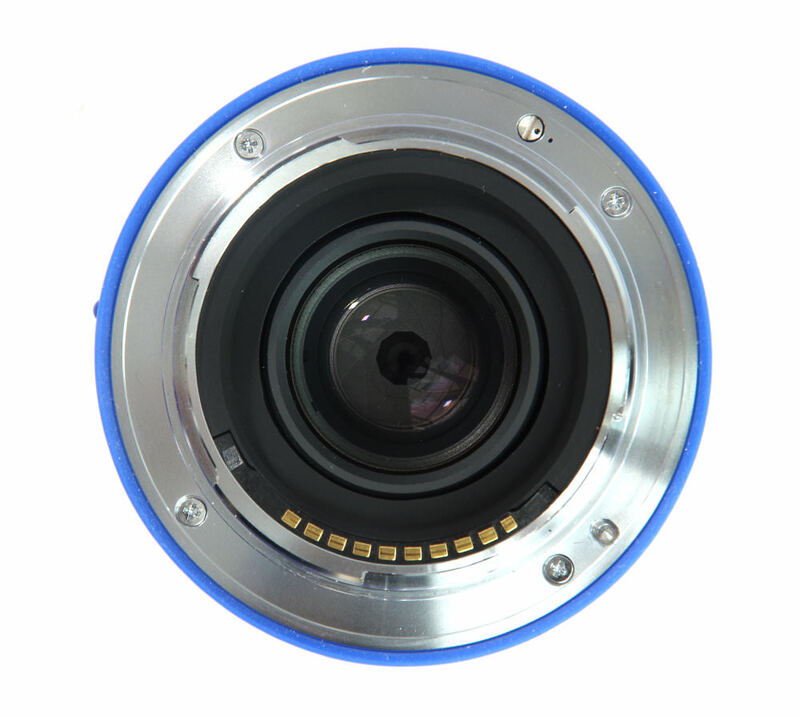 As before, the lens is manual focus only and is designed with compactness and quality firmly in mind. Here we review the new lens using the Sony Alpha A7 24MP camera body, so let's have a close look to see how it fares. At 380g, without caps, this metal construction lens feels substantial and inspires confidence. The confidence actually starts with the packaging, which speaks quality, with its superb box and very high density fitted foam interior. Lifting out lens and hood shows the precision even of the precut spaces that house them securely in transit. The point is that from the start there is a feeling of lack of compromise in the quest for quality. The finish of the lens and hood are exemplary, with beautifully precise engravings and total smoothness of operation for the few controls that are provided. The hood bayonets easily into position and a subtle but firm click holds it in place. It could be argued that the fitting of the hood is somewhat over-designed, seemingly so that some shielding is offered to the front part of the lens barrel. It may well be that this helps to deflect rain away from the fitting and is part of the dust and weather proofing. Within the fitting for the hood we find a conventional 52mm filter thread. The lens does not rotate when focusing, so the use of polarising and graduated filters is made easier. The wide manual focusing ring has a well ribbed surface that affords a good grip. It is not rubberised so needs this to avoid it becoming slippery when wet. The action of the focusing mechanism moves the lens in and out in the traditional way, using a helical thread. The smoothness of this is sublime, with a tactile feel reminiscent of say a Pentax M series lens from the 1980s. Focusing is down to 25cm which gives a reasonably close field of view. Moving back towards the camera body there is a depth of field scale, quite usable as the clear distance scale on the focusing ring (marked in feet and metres) has enough space and enough engraved numbers to make it a practical proposition. Finally, the aperture ring, also beautifully damped, has gentle but positive click stops provided in one third stop intervals. If the lens is to be used for video work, there is a small screw on the mount that can be used to de-click the ring. A small tool is provided for this, but be aware that if lost a replacement tool costs almost £40, in which case a small screwdriver will be a more likely option for many. Lens construction is 10 elements in 8 groups. There are 10 diaphragm blades which provide a very rounded aperture, which bodes well for the quality of the bokeh. If we assume that users of full frame mirrorless cameras have likely migrated from DSLR designs then there is one small operational feature that might take some getting used to, albeit only for a short while. With a manual focus lens the direction of travel of the focusing and aperture settings can vary and if it does so this can cause a small hiccup to the seamless ergonomics of a system, a slight confusion that slows us down particularly if systems are mixed. The Loxia lens actually mixes styles for itself and the focusing operates in the same direction as Canon lenses, but the aperture ring operates in the same direction as Nikon or Pentax lenses. A minor point, but it is there. Otherwise, using the lens is a great experience. The image is really easy to focus, it is bright and crisp and in a tactile sense it feels superb in the hand. Not only that, but moving the focusing ring instantly engages the focus assist features of the camera body, a very convenient feature. Central sharpness starts off as excellent at f/2.4 and remains in the excellent category all the way through to f/16. It is still very good at f/22, so basically any aperture can be used with total confidence. It will only alter the depth of field. Edge sharpness is very good at f/2.4, and from f/4 through to f/16 is excellent throughout, in fact being within a whisker of returning the same resolution figures as the centre. There is a drop at the edge at f/22, hardly surprising for any lens, but even here it is still good. 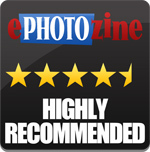 For this review, the lens was tested on a Sony Alpha A7 using Imatest. CA (Chromatic Aberration) is keenly controlled and all but banished at the centre of the frame. The edges show very slight amounts of CA but here too the figures are held at very low amounts. Even the most demanding situations do not reveal any really obvious fringing. Further correction would be possible in software but for most purposes would hardly be necessary. Distortion is -0.94% barrel, which is excellent for a 25mm lens. Obviously straight lines near the edge of the frame may show very slight bending, and correction in software could be made if needed. Flare is well controlled by the T* coating and general design of the lens and even when the sun, admittedly low weak winter sun during this review, was in frame there were no signs of artefacts. Bokeh, the quality of the out of focus areas, reveals much of the “character” of a lens, something sometimes referred to as its “look”. Indeed, some lenses of the past have built reputations based on these imprecise descriptions, long before the word bokeh started to be used. However, lenses are creative tools and regardless of the technical figures they deliver some do have a special quality that goes beyond this. This new lens displays easy, relaxed and smooth bokeh that gives a really pleasant look to out of focus backgrounds and to combine this smoothness with the high resolution mentioned is a laudable achievement by Zeiss. Although a firm price has not been provided, it seems that generally there is an anticipation that 1299 Euros could be expected. If this were so, let's have a look at how this would compare with some competitive lenses for Sony FE cameras. 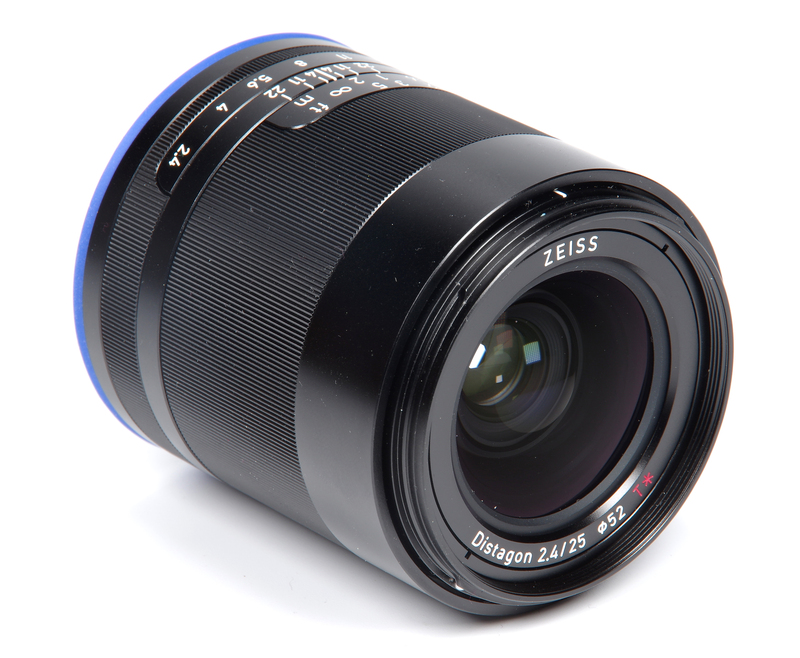 The Zeiss Batis 25mm f/2 costs £979, but also offers AF. Otherwise, there are no real competitors and we have to go to zoom lenses to cover the 25mm focal length. The Loxia range is an attractive proposition, with useful focal lengths and, if the 25mm f/2.4 is anything to go by, excellent qualities. The new 25mm f/2.4 is compact, beautiful to use in a most traditional way, full of the tactile high grade feel that is rarely seen. The price may be slightly on the high side, but then again what price quality? Some may question the manual focus, but with this lens it is so easy to find the point of focus that with minimal practice it should soon become second nature. Admittedly that will not suit everyone. 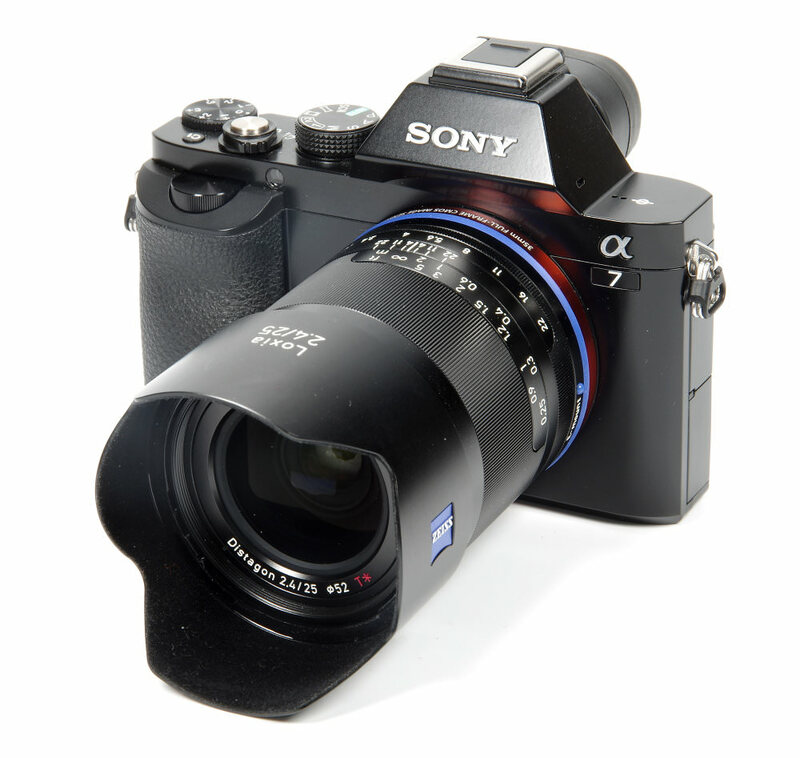 All in all, a lovely lens that matches well to the Sony FE full frame mirrorless cameras. 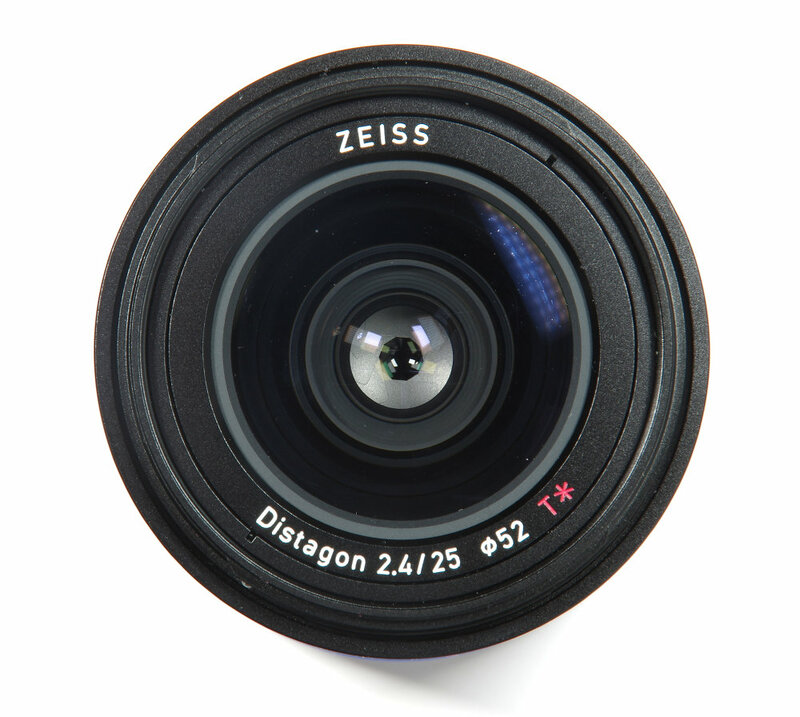 The Zeiss Loxia 25mm f/2.4 is a compact, high performance lens with superb handling qualities. It doesn't matter how excellent a lens is, if it doesn't fit my Pentax K-1, it is useless.